First Annual Legion Riders Craft Bazaar! 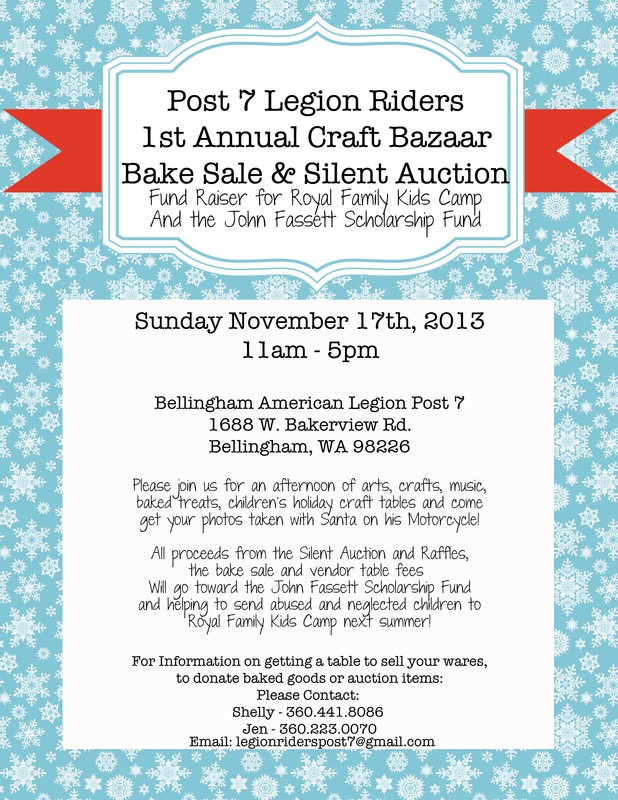 Please join us on November 17th, 2013 for our first annual Legion Riders Craft Bazaar, Bake Sale, Auction and Fund raiser for the John Fassett Memorial Scholarship fund and Royal Family Kids Camp! Bring your children by for fun craft projects and let them get their photos taken with Santa and his Motorcycle (Or without Santa – for those that aren’t too fond of the Jolly ol Fellow!) and enjoy browsing some local artists and craftsters for some hand made gifts to give for the Holidays! We will have a silent auction with a variety of gift certificates from local businesses and donated items as well as a bake sale for those of you with a sweet tooth! All proceeds from the Silent Auction, Bake Sale and Vendor table fees will be split between the John Fassett Memorial Scholarship Fund and the Royal Family Kid’s Camp. or Email: legionriderspost7@gmail.com for more information. Please help us raise some money to help local abused and neglected children and to reward a local 2014 graduating high school senior for being the kind of person that reaches out into their community and shares the same big heart for helping others that John did. 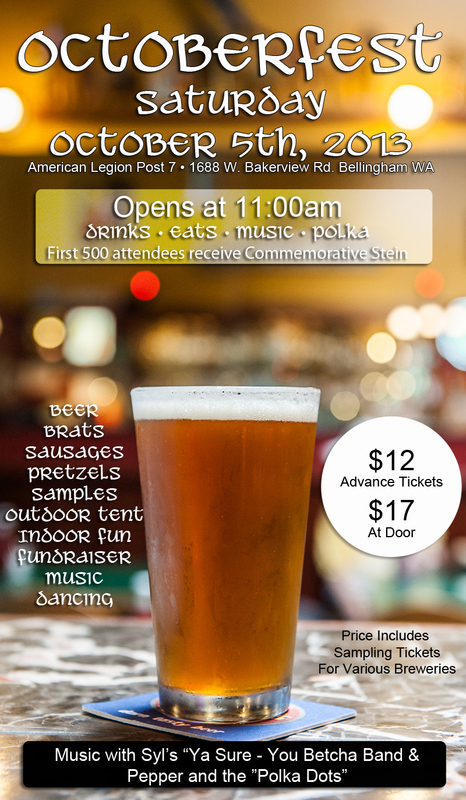 Join us at Post 7 for Octoberfest on Saturday October 5th, 2013! Doors open at 11am and this event is open to the Public! Various Local Breweries and food vendors. • Tickets: $12 in advance or $17 at the door. • Commemorative Steins for the first 500 attendees! • Adults only in the Beer Tent but children are welcome to come enjoy our new John Fassett Memorial playground!